Kawasaki like most Japanese manufacturers don’t really do any retro motorcycles until recently. The Japanese domestic market is about the latest models where as the rest of the world it is about recalling the past via retro and retro styled motorcycles. However with the motorcycle market world wide is in a bit of flux with older riders dying off literally and the lack of foresight from the manufacturer’s inability to counter the ‘dangerous’ motorcycle label. 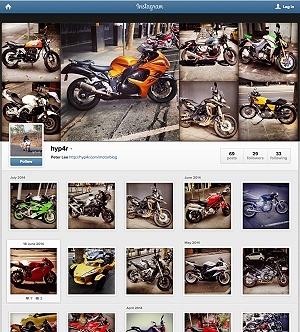 The anti-motorcycle lobby aimed specifically at super sports motorcycles and seemingly dangerous speed. Of course the same anti-motorcycle group are the ones who can’t drive properly and are a worst hazard on the road hence the amazing rise of automatic safety systems. Mind you with these developments is car safety systems should make motorcycle riding safer. Anyway, welcome to the Kawasaki W800 spec review, a motorcycle at that been around for a decade then killed off in parts of the world and now re-introduced! That said in some countries like Australia the W800 is in it’s ‘Final Edition’ form. The W series are based on the even older BSA motorcycles so has genuine model heritage of over 60 years! In terms of design the W800 hasn’t changed! That said they added a model cold ‘Cafe’ which as a retro styled front fairing in the sale of the 60’s race bikes. Thankfully it is optional and there are over version you can guy which have the classic looks. Speaking of classic design it is an undated version the the original Kawasaki W1 of the 1960’s as per their press material is in turn derived from the British motorcycle designs of the same period. Note that the W800 superseded the W650 which dates back to 1999. Regardless it looks good and made better by having real retro parts like chrome and dual rear suspension. These and more are the selling point of the W800. 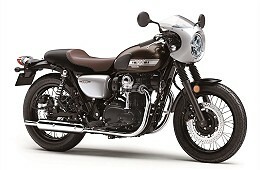 In terms of technology, specifications and performance the Kawasaki W800 is it’s own model and no other model in the Kawasaki range that I can recall shares the same engine. It’s closest competitor is probably the Royal Enfield Classic motorcycle range. The W800 is not all about retro parts having some modern specs that includes electronic fuel injection, LED headlights and a modern but basic instrument pod. It’s all about style really so you get a air cooled engine and rear drum brakes. You wouldn’t buy the W800 based on top of the range tech specifications or outright performance. That said peak torque is at a mere 2500rpm so you’ll never feel underpowered. The selling price for the Kawasaki W800 is under $12,000 AUD which technically should make it to my list of ‘Affordable yet special motorcycle list’ however I think the Royal Enfield’s have better street cred which is what the W800 does’t make it to my list. If you are after pretty genuine retro motorcycle that has reliability on it’s side then the Kawasaki W800 is the motorcycle to get.